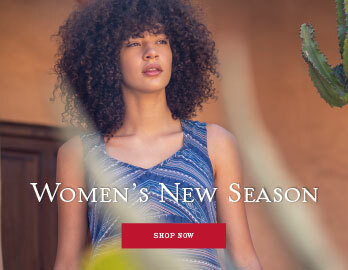 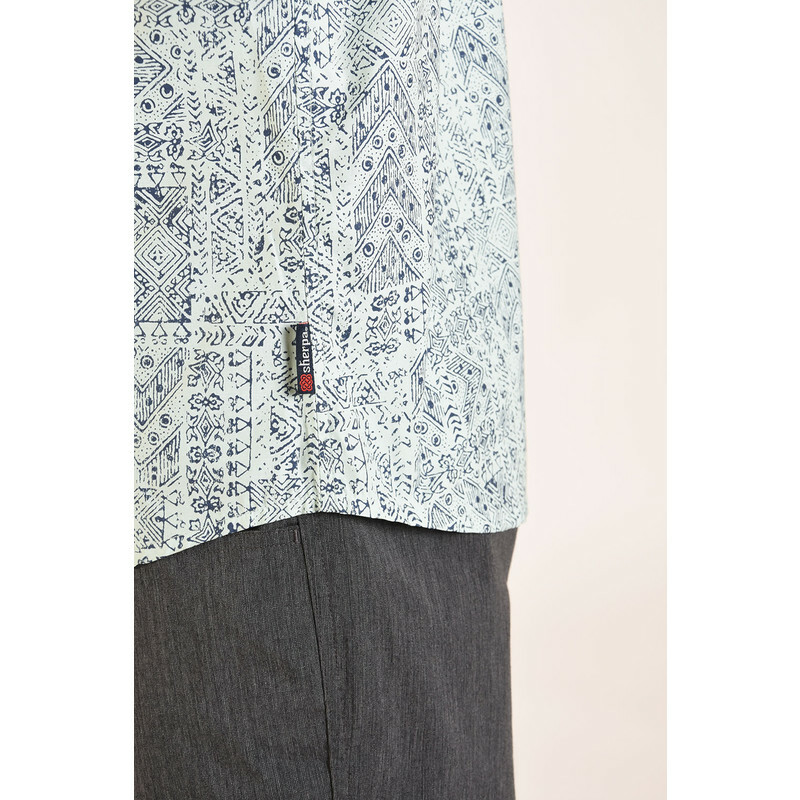 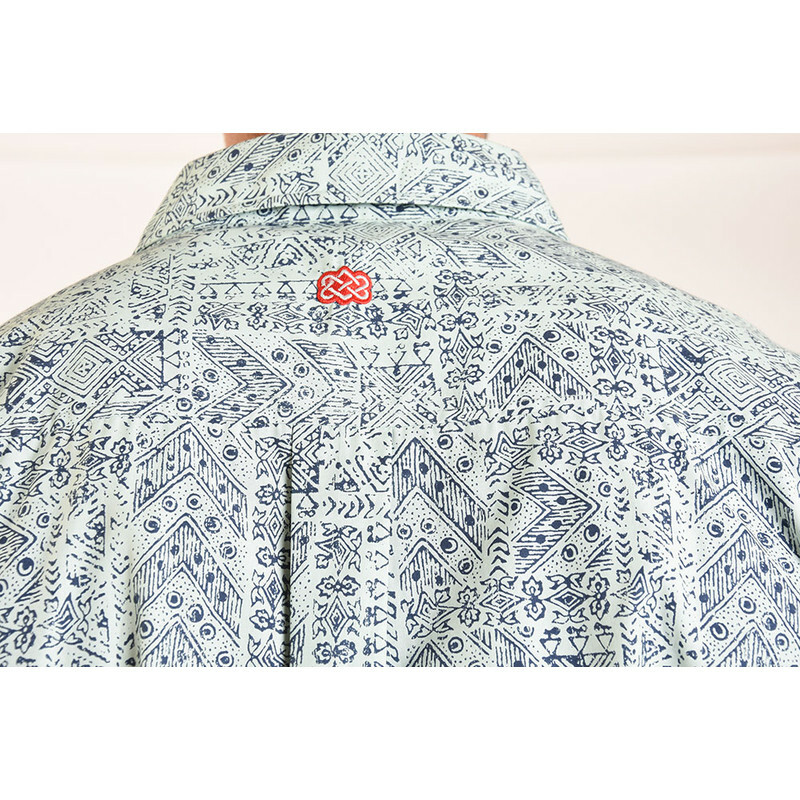 The woodblock print of the Durbar Shirt gives this summer wardrobe essential a pared back style, it is not until you look closely that you can see the delicate print handcrafted in Nepal. 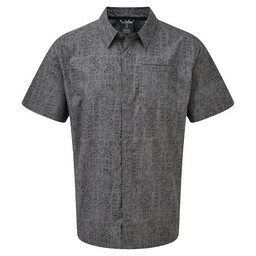 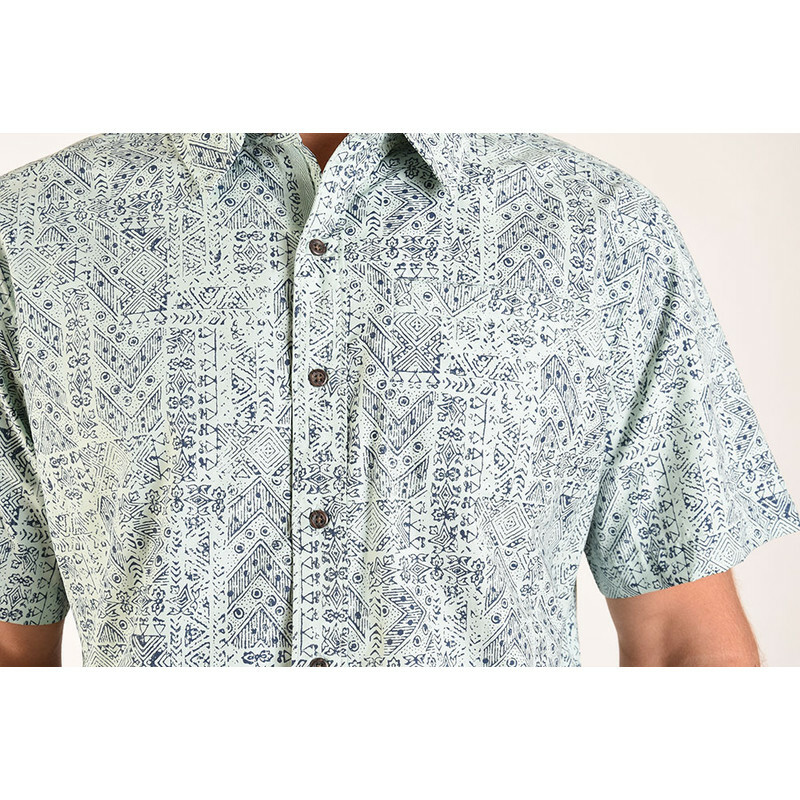 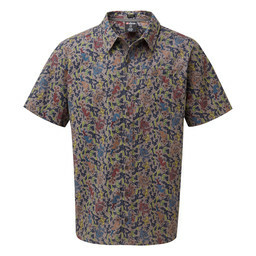 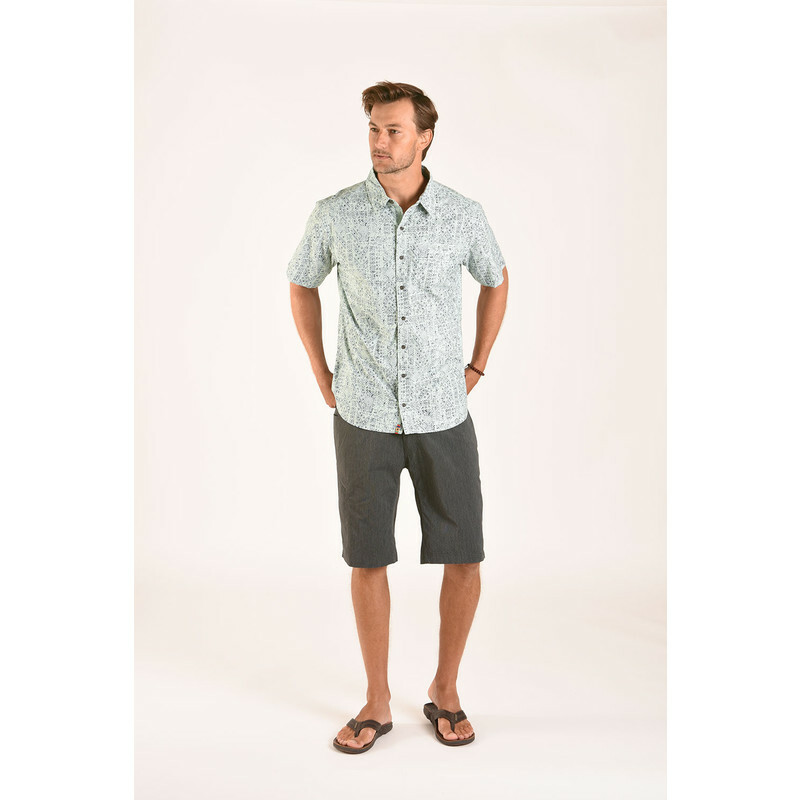 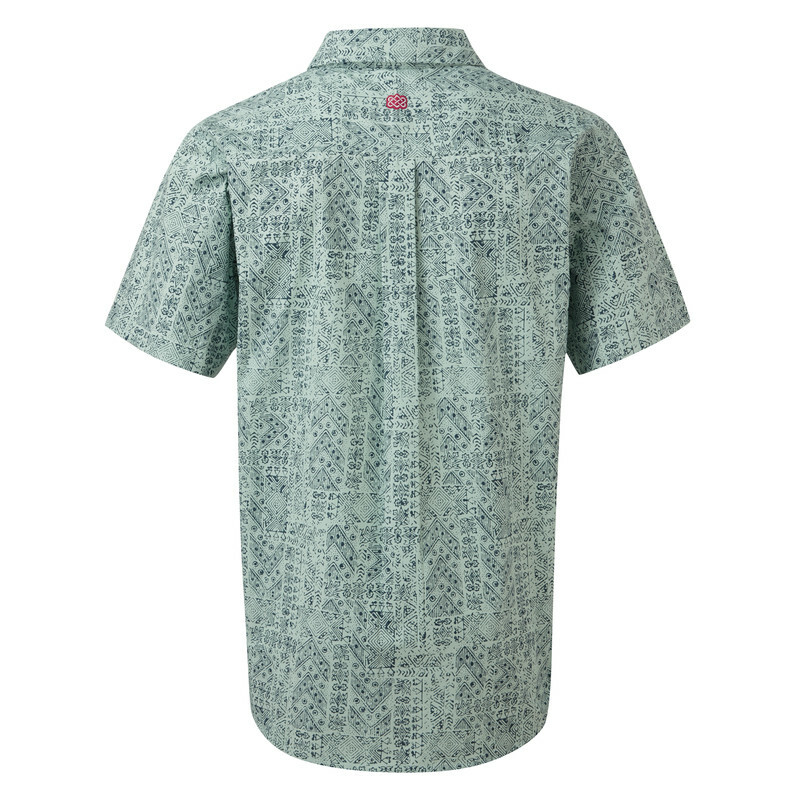 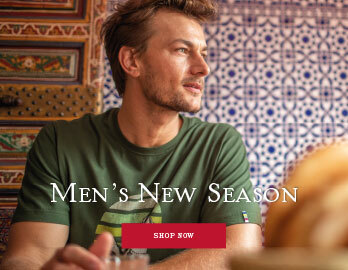 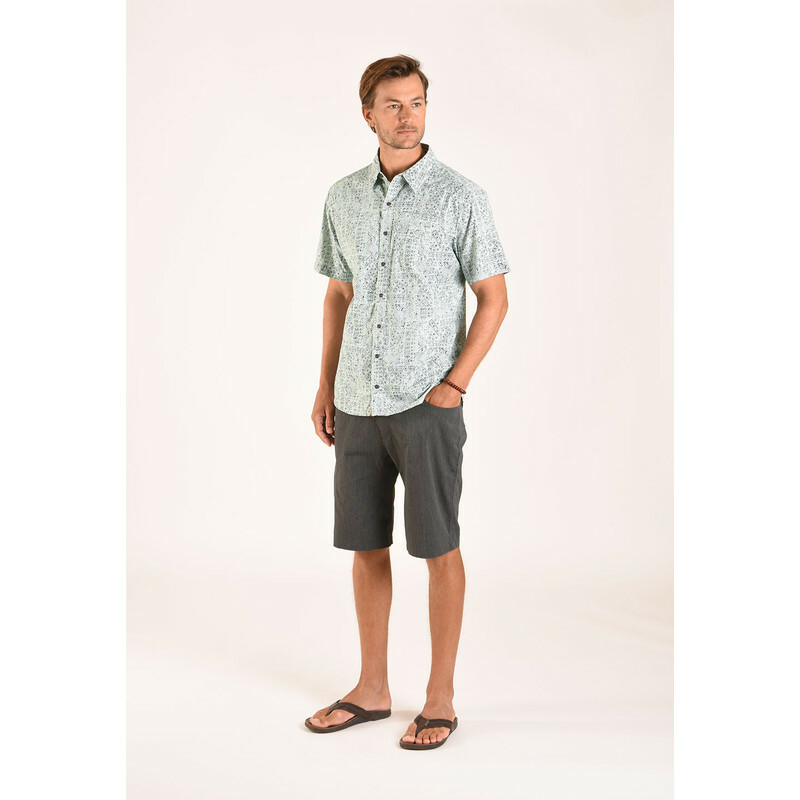 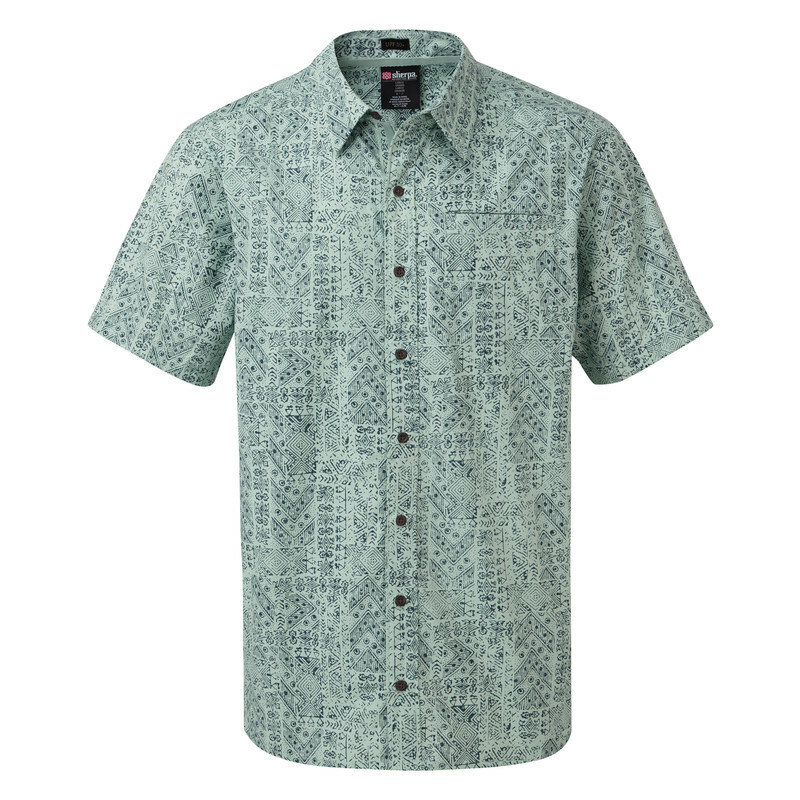 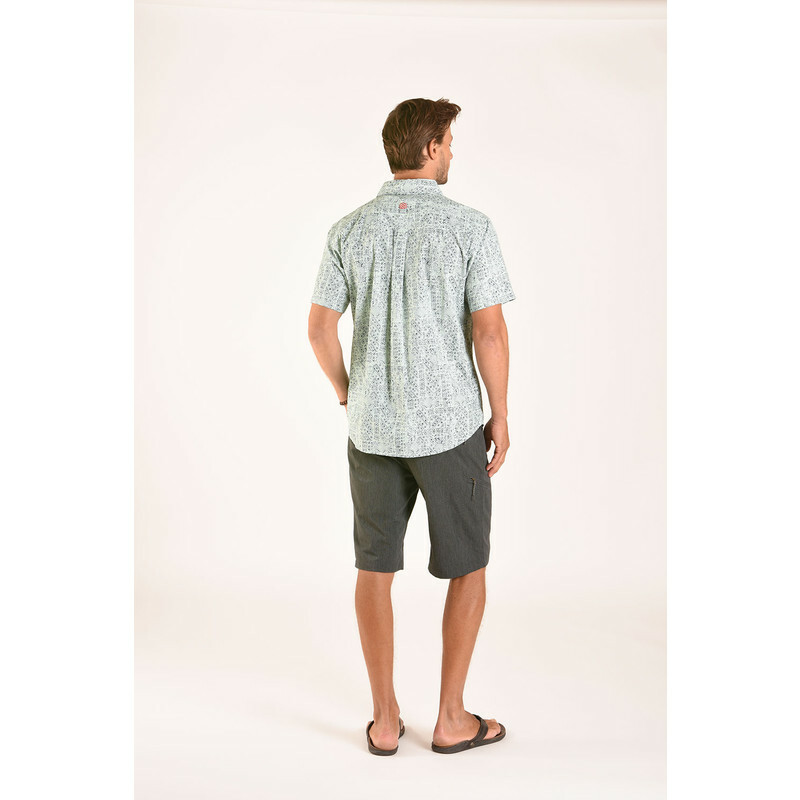 Its not just about form with this UPF rated 50+ men's shirt that protects you from the harsh glare of the summer sun, function has been considered too with off the shoulder seams that prevent chafing when worn underneath a rucksack. 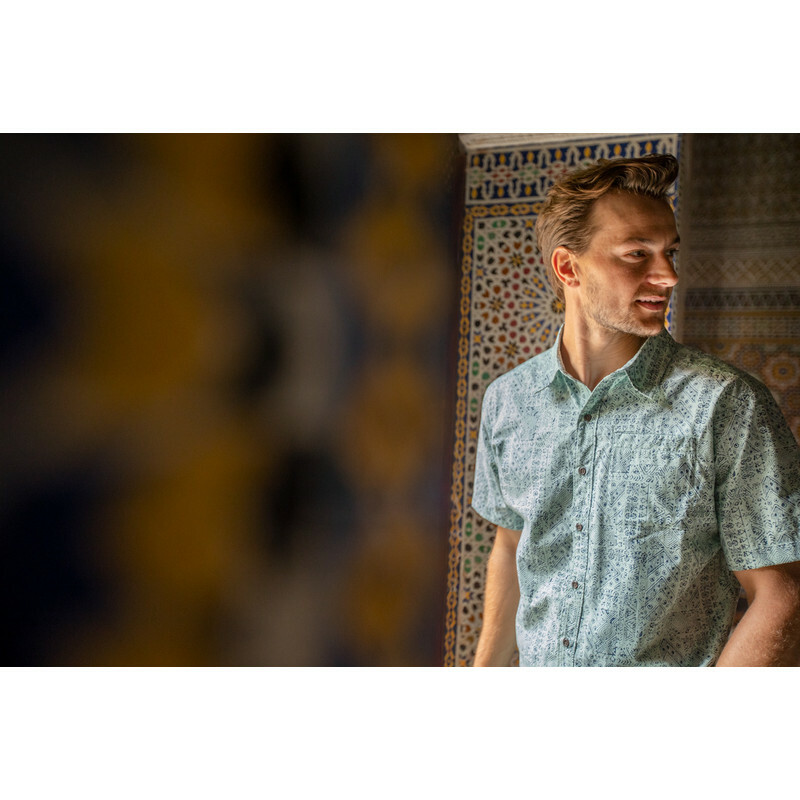 Durbar Square is the generic name given to plazas opposite the ancient Royal palaces of Nepal - we challenge you not to feel regal in this expertly crafted shirt.